Maurizio Pollini (born January 5, 1942) is an Italian classical pianist. 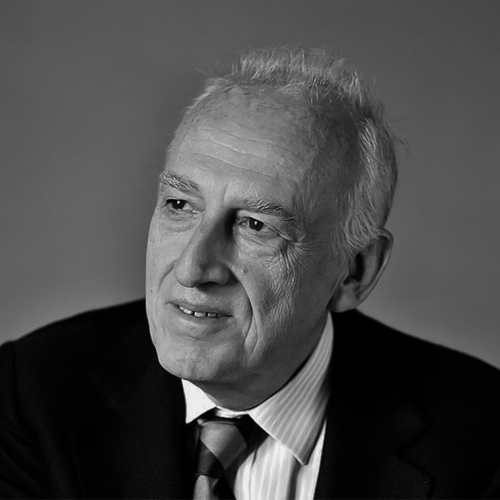 Biography and career edit: Pollini was born in Milan to the Italian rationalist architect Gino Pollini, who has been said to have been the first to bring Modernist architecture to Italy in the 1930s. Maurizio studied piano first with Carlo Lonati, until the age of 13, then with Carlo Vidusso, until he was 18. He received a diploma from the Milan Conservatory and won both the International Ettore Pozzoli Piano Competition in Seregno (Italy) in 1959 and the International Chopin Piano Competition in Warsaw in 1960.Arthur Rubinstein, who led the jury, declared Pollini the winner of the competition, saying: "that boy can play the piano better than any of us". Soon afterwards, for EMI he recorded Chopin's Concerto No. 1 in E minor with the Philharmonia Orchestra under the Polish conductor Paul Kletzki and taped performances of Chopin's etudes. When the Philharmonia offered Pollini a series of concerts, he experienced what EMI producer Peter Andry has called "an apparent crisis of confidence". After this, he studied with Arturo Benedetti Michelangeli, from whom he is said to have acquired "a precise technique and emotional restraint", although some have expressed a concern that Michelangeli's influence resulted in Pollini's playing becoming "mannered and cold". During the early 1960s, Pollini limited his concertizing, preferring to spend these years studying by himself and expanding his repertoire. Since the mid-1960s, he has given recitals and appeared with major orchestras in Europe, the United States, and the Far East. He made his American debut in 1968 and his first tour of Japan in 1974. During the 1960s and 1970s, Pollini was a left-wing political activist. He collaborated with Luigi Nono in such works as Como una ola fuerza y luz (1972), which was to mourn the assassination of Luciano Cruz, a leader of the Chilean Revolutionary Front. He performed with Claudio Abbado at La Scala in a cycle of concerts for students and workers, in an attempt to build a new public as they believed that art should be for everybody. In 1985, on the occasion of Johann Sebastian Bach's tricentenary, he performed the complete first book of The Well-Tempered Clavier. In 1987 he played the complete piano concertos of Ludwig van Beethoven in New York with the Vienna Philharmonic under Claudio Abbado and received on this occasion the orchestra's Honorary Ring. In 1993-94 he played his first complete Beethoven Piano Sonata cycles in Berlin and Munich and later also in New York, Milan, Paris, London and Vienna. At the Salzburg Festival in 1995 he inaugurated the "Progetto Pollini", a series of concerts in which old and new works are juxtaposed. An analogous series took place at Carnegie Hall in 2000-01 with "Perspectives: Maurizio Pollini" and at London's Royal Festival Hall in 2010-11 with the "Pollini Project", a series of five concerts with programmes ranging from Bach to Stockhausen. In March 2012 it was announced that Pollini had cancelled all his forthcoming appearances in the USA for health reasons. Maurizio Pollini is father of the pianist Daniele Pollini, born 1978 in Bern, Switzerland. Recordings edit: His first recordings for Deutsche Grammophon in 1971 included Stravinsky's Trois mouvements de Petrouchka and Prokofiev's Seventh Sonata and are still considered a landmark of twentieth century piano discography. Since then he has been one of Deutsche Grammophon's leading pianists. His recording of Chopin's Etudes, Opp. 10 and 25, also under Deutsche Grammophon, won Pollini international acclaim. In 2002, Deutsche Grammophon released a 13-CD commemorative edition to celebrate the pianist's 60th birthday. Repertoire and technique edit: Pollini is especially noted for his performances of Bach, Beethoven, Schubert, Chopin, Schumann, Brahms, Schoenberg, Webern and for championing modern composers such as Pierre Boulez, Luigi Nono, Karlheinz Stockhausen, Giacomo Manzoni, Salvatore Sciarrino and Bruno Maderna. Important modern works have been composed for Pollini, notably Nono's ...sofferte onde serene..., Manzoni's Masse: omaggio a Edgard Varèse and Sciarrino's Fifth Sonata. While known for possessing an exceptional technique, Pollini is sometimes accused of emotional conservatism. He has conducted both opera and orchestral music, sometimes leading the orchestra from the keyboard in concertos. Awards and recognition edit: In 1996, he received the Ernst von Siemens Music Prize. In 2001, his recording of Beethoven's Diabelli Variations won the Diapason d'or. In 2007, Pollini received the Grammy Award for Best Instrumental Soloist Performance (without orchestra) for his Deutsche Grammophon recording of Chopin nocturnes. He was awarded the Praemium Imperiale in 2010. He entered the Gramophone Hall of Fame in 2012.